What Is Palm Sugar? Is It Really Good For You? Among all the things that Bengal is famous for, their undying love for sweetmeats undoubtedly ranks at the top. Rasgulla, sandesh, mishti doi, chom chom, pati shapta and the like have charmed sweet lovers across the globe, tempting them to find every small reason to make their way back to the sweet decadence. 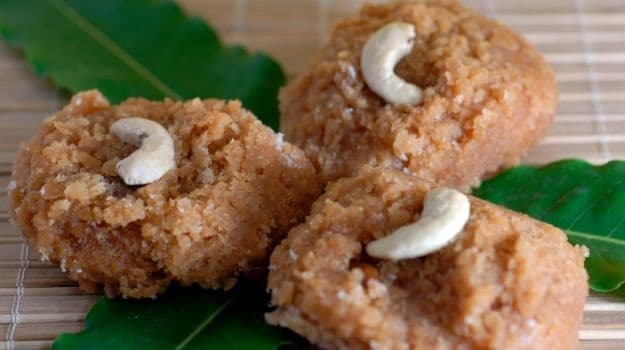 But amidst all of these, what seems to attract most attention in recent times is this one particular ingredient - nolen gur or coconut/ palm sugar, the sweet makers' secret weapon. Palm sugar is a sweetener that is made from the sap present in the flower buds of the coconut palm tree. It is known as natural sugar because it involves minimum processing and no chemicals are used. The sap from the tree is heated to wick away the moisture content until a thick syrup is obtained, and this sweet nectar is then further reduced to crystals. In the stores, palm sugar is available in the block, granular and liquid form. Though, of late, many speculations revolve around palm sugar and its health benefits, it has been a common ingredient used in the preparation of traditional dishes in south and south-east Asian cuisines. The sugar has a mild caramel flavour and in its liquid form resembles honey whereas in the granular state, it is not much different in taste as compared to white sugar. It is used in making curries, sauces and desserts. What had stirred up a storm in the food scene a few years back was the creation of innovative desserts - ice creams, puddings, panna cottas and souffles - using the molten nolen gur, also known as khajur gur. Since palm sugar is an unrefined sugar, it is known to be rich in vitamins and minerals. As a result, it has become increasingly popular as a substitute to white and brown sugar. Research studies have found that it contains minerals like potassium, phosphorus, zinc, iron, manganese and copper; small amounts of phytonutrients such as polyphenols, flavonoids and anthocyanidin; and antioxidants. It is rich in B vitamins, especially inositol (Vit8) which is needed for the formation of healthy cells, as well as thiamine, riboflavin, folic acid and choline. It contains the same 16 amino acids as present in the sap from which it is derived. Amino acids are the building blocks of proteins and are needed for cell growth and repair. One of the biggest reasons of the popularity of palm sugar is due to its low glycemic index, a method of measuring how carbohydrates impact blood glucose levels. A high GI means that the food is rapidly absorbed by the body thereby increasing the blood sugar level and causing the pancreas to release large amounts of insulin. A low GI indicates that the food is slowly absorbed, preventing the spike in insulin level. Researchers have found that the GI of palm sugar is 35, compared to honey at 55 and table sugar at 68. Palm sugar also contains a dietary fiber called inulin, which is known to keep a check on blood sugar levels, and low amount of fructose, a type of sugar our body quickly converts into triglyceride - a form of fat. Although these factors have led to the claim that palm sugar has little impact on blood sugar levels and is suitable for diabetics, let's not forget that it is still a sweetener. 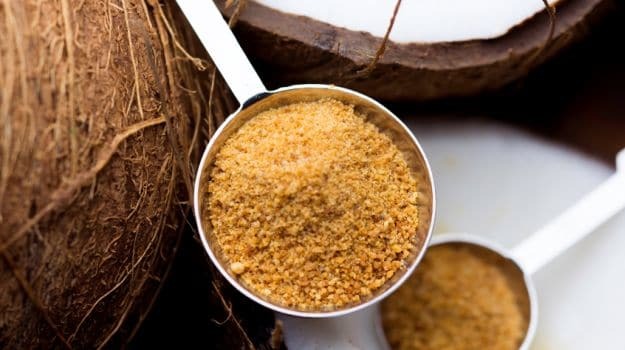 As mentioned in an article on The Huffington Post by fitness and nutrition expert JJ Virgin, "...a study in the ASEAN Food Journal found coconut sugar has about 71 per cent sucrose, which in other words is table sugar, as well as 3 per cent pure glucose and 3 per cent pure fructose. 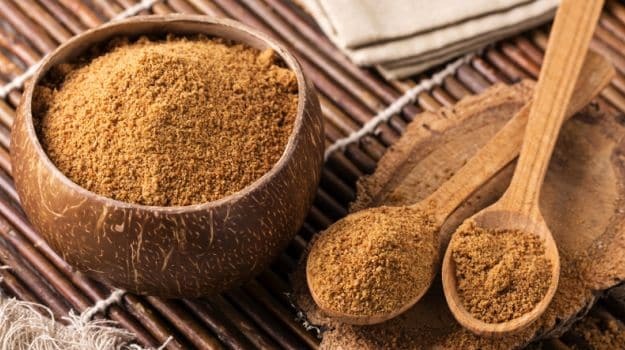 In other words, about 78 per cent - over three-fourths - of coconut sugar is actually sugar, compared with 100 per cent of table sugar. (Nutrients, inulin, and antioxidants constitute coconut sugar's other 22 per cent.)" Moreover, GI varies from person to person and also depends on how the food is cooked and with what it is eaten. In most cases, the sugar is likely to be mixed or prepared with other ingredients that contain carbohydrates. In terms of calories too, it is equivalent to that of table sugar. The Verdict: Referring to various research papers and expert opinions, it wouldn't be wrong to say that in comparison to other forms of sugar, it is no doubt a better alternative, just as honey is. But, that definitely doesn't mean that one should over indulge, using heaps of it in beverages, cereals and desserts. The fact is, it is no miracle food and therefore is best when used sparingly.